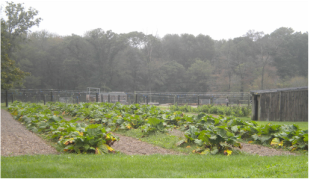 For 40 years Earth Care Farm has been producing high quality farm-made compost that gardeners and landscapers, big & small have come to rely upon to enrich their soil naturally. The mission of Earth Care Farm is to joyfully help bring out the best & highest from within the earth by consciously returning the best to the earth. Spread one to four inches thick, depending on the existing fertility of your soil. For areas newly under cultivation, work deeply into the root zone to provide for an immediate improvement of soil structure and nutrient availability. For existing gardens, compost can be used as a top-dressing and incorporated into just the top few inches. At time of new seeding, spread one to four inches thick, depending on existing fertility, and work into the soil. For top-dressing and over-seeding, spring and fall, spread 1/8"-1/2" thick over existing turf and rake in. Dig the hole twice as wide as the root ball and back fill with a mix of 50% compost and 50% soil. Compost can be used as a weed-free, nutrient rich mulch for mature plantings. Because of their acid-loving nature and the neutral compost, native plants should be planted with only a 10-25% compost mixture, depending on the Ph of the existing soil. 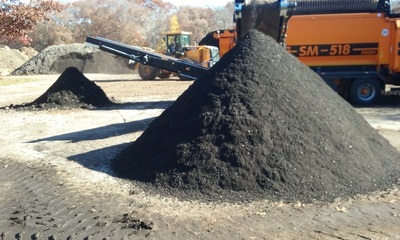 Our compost can be the main ingredient for you own custom blend. It has the properties of good water retention, drainage, and long-term fertility essential for container gardening and greenhouse growing. Composting is a cooperative effort between man and other kingdoms in nature to accelerate the process of making rich, healthy, living soil. This is an active process happening all around us in nature. We are creating an environment that is attractive to our allies in decomposition: a nutrient rich, well-aerated pile of diverse ingredients. The actual transformation of raw materials into finished, healthy compost is performed by numerous beneficial bacteria, fungi, and lower animals along with the elemental forces of air, heat, and water. Composting is a remarkable biological recycling process. Among many other things, it demonstrates that there is no such thing as waste in nature. Earth Care Farm appreciates your financial and moral support in purchasing our compost. We encourage you to consider making some of your own home compost and use ours as a supplement to your needs. 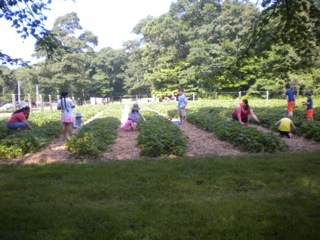 It is seldom that anyone has enough compost for the care of their soil and plants. 1. What is the difference between screened compost and raised bed mix? 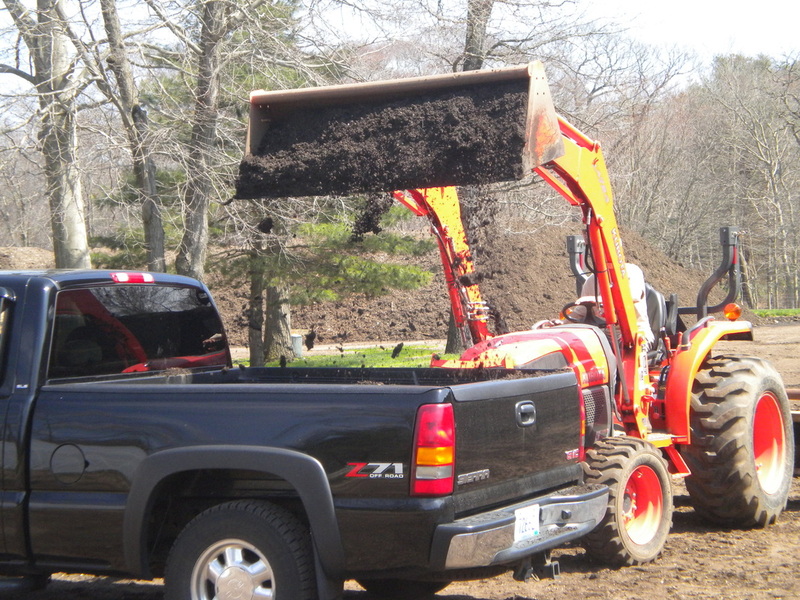 Screened Compost is meant to be used as a soil amendment, improving the structure and fertility of loam or native soils when incorporated before planting. Raised Bed Mix is designed to be a complete growing medium for direct planting in gardens and large containers. ​2. What is meant by a wholistically managed farm? With the compost piles and in the fields we use sustainable practices to ensure a healthy condition to the land for future generations. 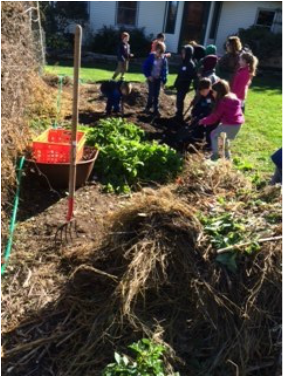 We start by building soil health, which is a cooperative effort with the beneficial organisms that thrive in a healthy soil rich with compost. This biological activity makes nutrients available to the plants, and so we do not use any synthetic, chemical pesticides or fertilizers which would damage them and the insect predators and pollinators we rely on. We believe that direct communication between farmers and customers is the best assurance of methods that respect the web of life we are part of. 3. Why does Earth Care Farm compost cost more than some other compost products that are on the market? ​Not all composts are created equally. 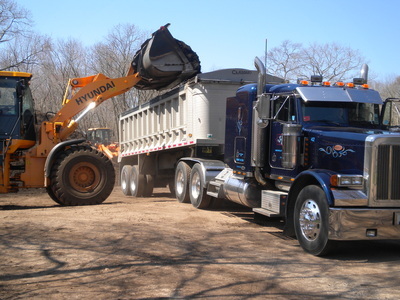 We make our compost from the cleanest, most nutrient rich organic materials we can find from our local bio-region. Please refer to our list of ingredients to understand the wide array of valuable organic materials we use. In order to properly compost nutrient rich food scraps, fish gurry, shellfish, seaweed, animal manures, etc. it takes more diligent work, time and management; this equates to more cost of labor, equipment and fuel. ​Most other composts on the market are made from only grass, leaves, and brush which are low in nutrients, may contain pesticide residues and inorganic trash. Some other composts contain sewage sludge which often contain household toxic cleansers and pharmaceutical drugs. These compost products are simply not worth as much as quality made farm compost. Caution: The compost contains small fish bones and shells. Handle with due care.